"On September 17, 2012, reports were posted on various websites with what appeared to be "official news" from Ex-Rainbow/Deep Purple singer Joe Lynn Turner (JLT) and Ex-Ozzy Osbourne/Vanilla Fudge drummer Carmine Appice about a new band/project with Michael Anthony (Van Halen, Chickenfoot). Both Appice and Turner have officially dismissed this news as a rumor. The musicians said that there was never any press release sent out by either of their media representatives or their record companies. While both of them agree that they have had casual conversations about musicians they would like to work with, including Michael Anthony, this news of the formation of a "supergroup" is not official or confirmed. Turner admits, "Carmine and I are longtime friends and we have talked over the years about working together on future projects. These are conversations musicians like us often have all the time. These conversations are not "official news" it is just casual talk. Like many artists, we exchange ideas about people we would like to work with if given the chance. Names like Jeff Beck, Eric Clapton and Michael Anthony are all musicians we both admire but we never released any official news stating that we were planning to launch this so-called supergroup." Turner and Appice would like to specifically apologize to bassist Michael Anthony (Van Halen, Chickenfoot) and his fans for any confusion this rumor or any casual conversations might have caused. Appice confirms, "We had nothing to do with the publishing of any of this news about this project and neither of us talked to any journalists or media people "on the record" about a possible supergroup. Having said all this, Joe and I have worked together in the past and can't rule out the possibility of working together in the future." Ok, well folks...I don't just make this stuff up or print anything just for the fun of it. And the news I did print was prefaced with "rumors in the air". What I have done is seek to clarify very clearly where my information came from. I'll let people draw their own conclusions. Below is an excerpt from an official on the record interview with Joe Lynn Turner for Norway Rocks Magazine, which will be published in their NOVEMBER edition. Norway Rocks: Speaking of Mothers Army, I interviewed Carmine last year, and he said that you have contributed to his biography, which, as far as I know, still haven't come out. JLT: I've just emailed Carmine, because Frontiers...Here's something hot and new for you, and you can give this out as a kind of spin...they want us to do this supergroup. So we just got a call in to Michael Anthony from Van Halen to play bass. So it'll be me and Carmine and maybe him. 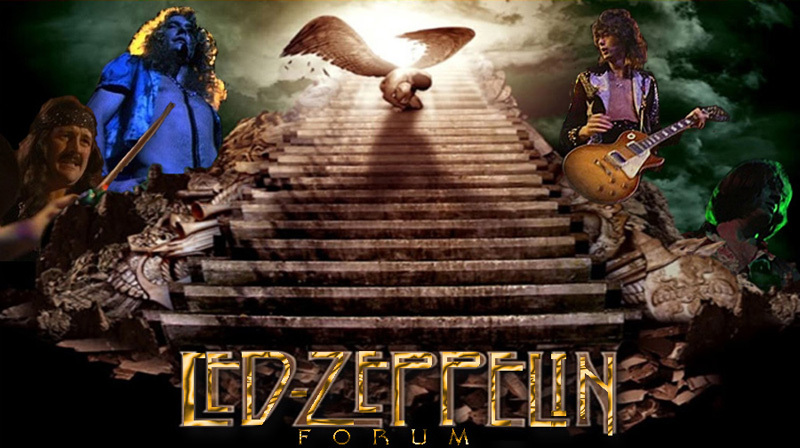 There's a couple of guitar players that we really wanted who are busy - Doug Aldrich was busy - so we're still trying to put it together, we need a great guitar player with marquee value...we'll probably just be a three piece, or a four piece - a Zeppy kinda thing. JLT: Yeah, that's gonna be cool - you got the first bite of that one, by the way. NR: Will you be recording any time this year, you think? JLT: I don't know yet, because we are still forming the band. And everytime we turn around, someone is busy or someone is... we need to get the right people in. JLT apparaitra dans un documentaire intitulé Street Of Dreams qui est actuellement en phase finale de production en Norvège. Il sera présenté en avant-première le 29 novembre pendant le Trondheim Dokumentarfestival. Le documentaire est axé autour du bassiste Jan Erling Holberg, l'homme qui fut derrière l'album de JLT de 2011 à savoir Sense Of Time. Malgré une vie paisible, Jan a fait une dépression parce qu'à priori il voulait devenir musicien professionnel, ce à quoi, il a dû se résigner. Jan a donc décidé de faire quelque chose avant qu'il ne soit trop tard. Jan quitta son travail, investit de l'argent et enregistra donc des démos qui retinrent l'attention de JLT. 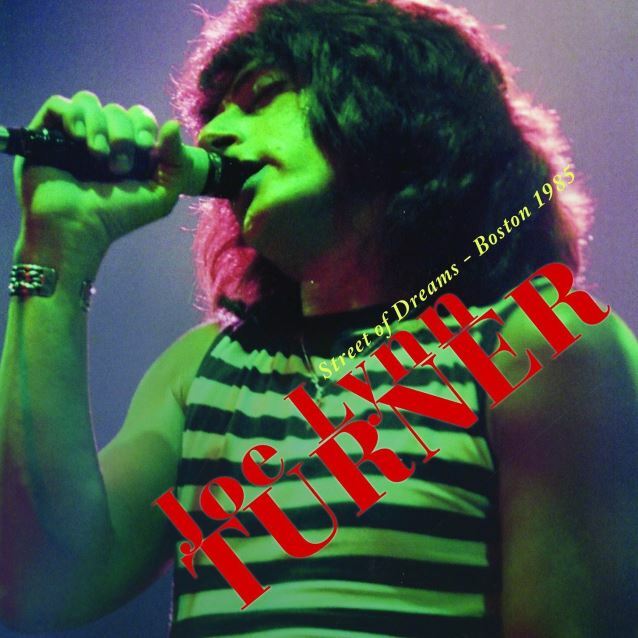 Joe Lynn Turner will be featured in the upcoming documentary Street of Dreams, which is currently in postproduction in Norway to be premiered at the Trondheim Dokumentarfestival on November 29. The film is about Norwegian bass player Jan Erling Holberg — the man behind JLT’s 2011 album Sense of Time. Although educated at LIPA, Jan Erling never made his way into the world of the stars. Meanwhile, he has been living a normal family life with wife and kids in a small community in Norway. He had everything a man could ever want. House, boat, stabile job and a beautiful family. Despite of this, Jan Erling got depressed. His 30 year old ambition of becoming a professional musician seemed to fade away into a suburban dream. Jan Erling decided to do something about it before it was too late. Recording demos at night resulted in a handful of tracks that raised the attention of his childhood hero Joe Lynn Turner. Jan Erling quit his job, raised the money on his own and a year later he was closer than ever before to fulfil his dream. This is an universal story of never giving up, seizing the day and following your heart. We want to give the viewer the feelgood-sensation as we follow our main character, Jan Erling, at home, in the studio, the kindergarden, skiing in the mountains and of course on tour. But will Jan Erling ever become a rockstar? My goal for this film is to reach out to a broad audience. This is not only a film for the fans of Joe Lynn Turner, but for every preson that ever had a dream about wanting more of life than the A4-existece. The documentary movie will follow Jan Erling through the beautiful landscape of Norway as he gets his first and only chance of a major breakthrough on tour with his favourite vocalist of all times – Joe Lynn Turner. We will follow him on his ups and downs to see if his dream of becoming a rock star will be realized or if he has to go back to his former job and a anonymous life in his wooden house by the fjord. JLT va participer au projet Schubert In Rock en compagnie de Tony Martin, Biff Byford, Doogie White et Marc Storace. L'album sortira en septembre, octobre. Par ailleurs, il a hâte de présenter ça sur scène puisqu'un show est déjà programmé le 6 décembre prochain à Innsbruck. Sortie demain d'un album live intitulé Street Of Dreams enregistré à Boston en 85 ! NEW CD ALERT - PRESS RELEASE FOR "THE SESSIONS"
UPCOMING CONFIRMED TOUR DATES FOR 2017! 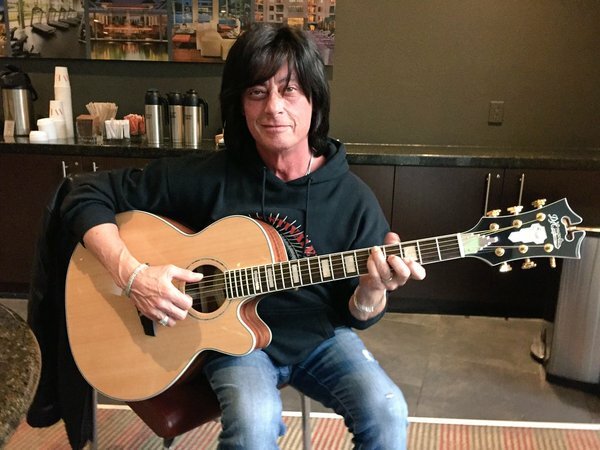 "Apparemment Joe Lynn Turner serait à l’hôpital pour un infarctus..."
Merci à HouseBlueLight du forum Purple.